Yesterday, the NZD/USD pair moved in different directions, ending the day session with almost zero results. USD was moderately supported by good macroeconomic statistics but NZD is in demand due to some signs of improvement in the situation in China. In particular, investors are optimistic about trade negotiations between the United States and China. Last weekend, it became known that Washington abandoned its demands to limit Beijing’s subsidies to a number of US strategic industries, which brings the countries one step closer to concluding a final agreement. Today, during the Asian session, the instrument is relatively stable, although market volatility increases markedly. Investors are focused on the statistics from the United States. New Zealand will publish only the price index for dairy products, which may adversely affect the rate of the instrument due to negative forecasts. More interesting statistics on Q1 2019 consumer inflation will appear tomorrow. On the daily chart, Bollinger bands reverse flat. The price range narrows, reflecting the ambiguous trade in recent days. The MACD grows, keeping a poor buy signal (the histogram is above the signal line). 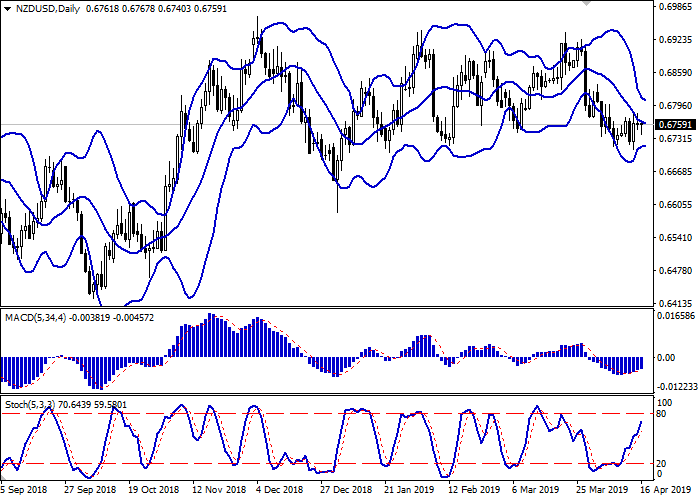 Stochastic grows more confidently but it is rapidly approaching its highs, which indicates that NZD can become overbought in the super short term. It is better to wait until the signals are clear. Resistance levels: 0.6772, 0.6793, 0.6807, 0.6827. Support levels: 0.6737, 0.6710, 0.6700. 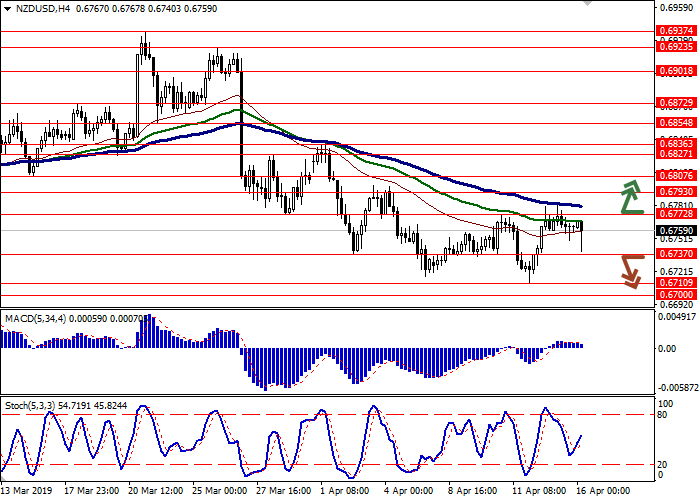 Long positions can be opened after the breakout of 0.6772 with the targets at 0.6827–0.6836. Stop loss is 0.6750. 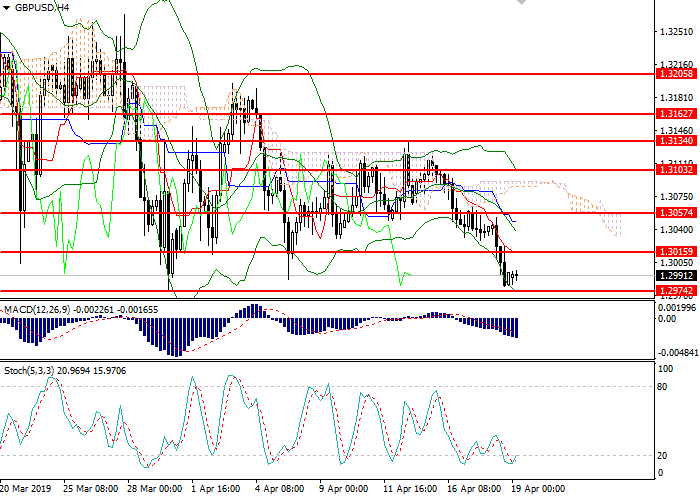 Short positions can be opened after the breakdown of 0.6737 with the target at 0.6700 or 0.6680. Stop loss is 0.6760.